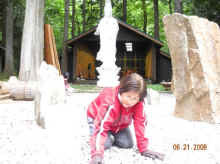 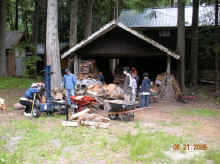 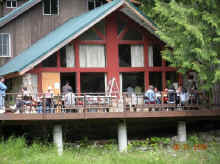 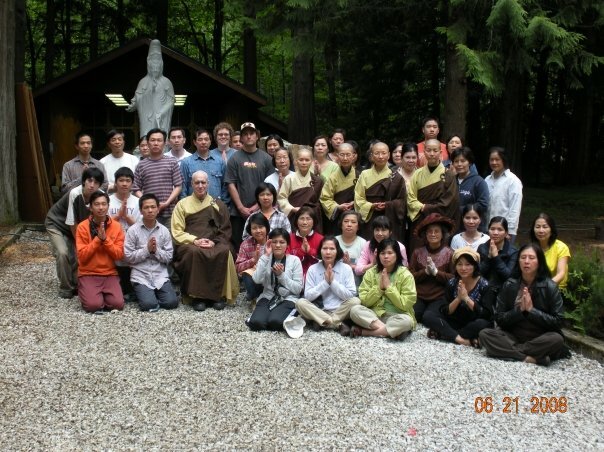 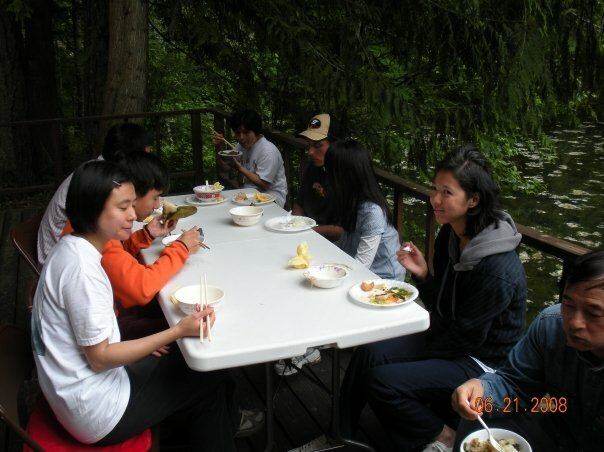 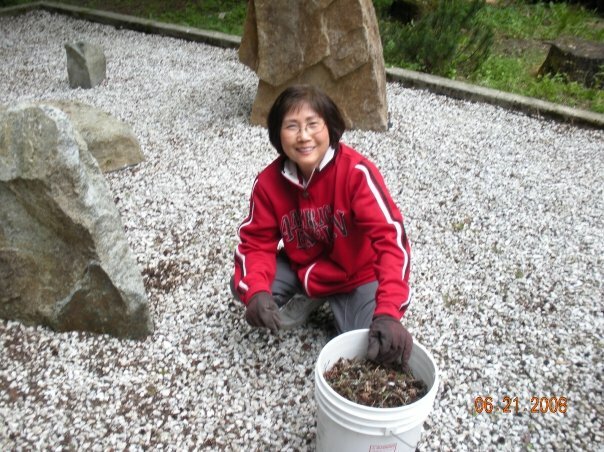 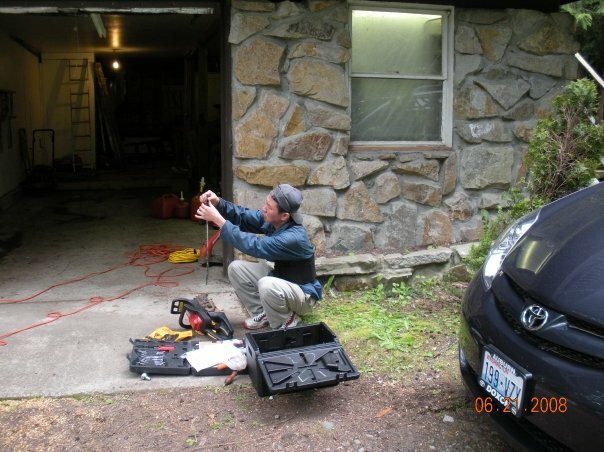 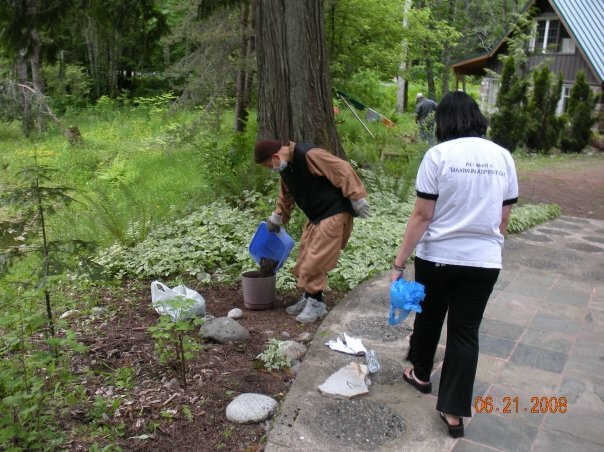 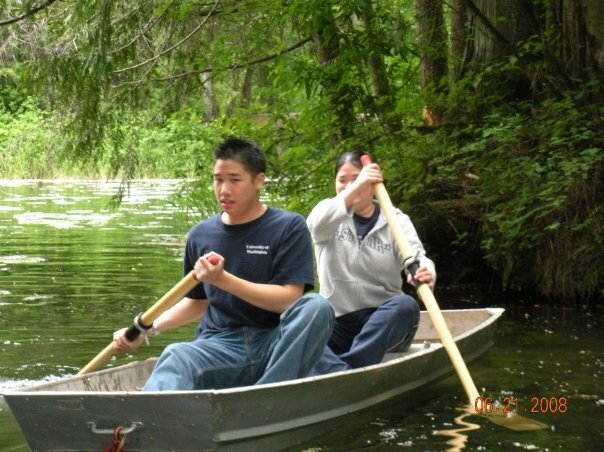 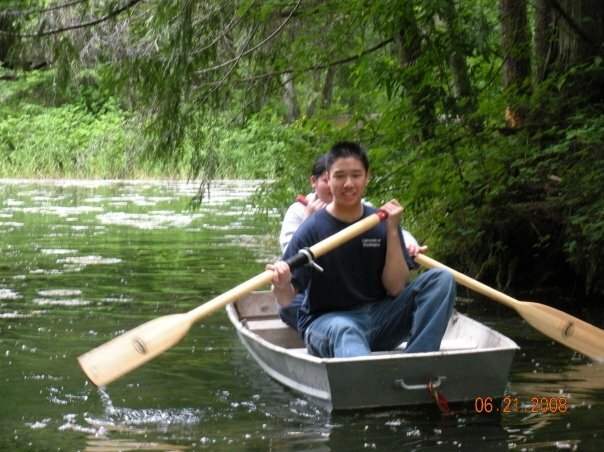 On the Saturday of June 21st 2008, there was perfect weather at Snow Mountain Monastery in Skykomish, WA. 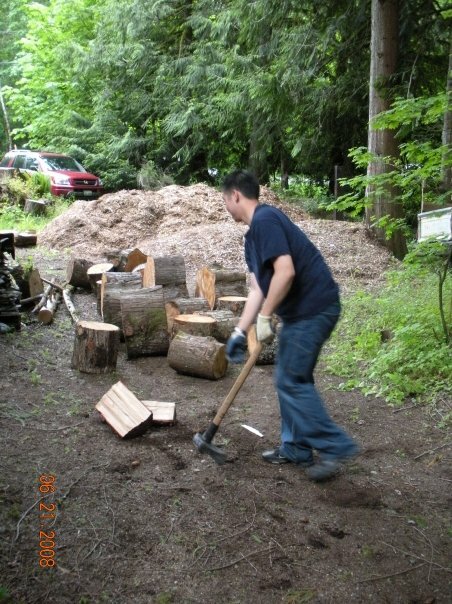 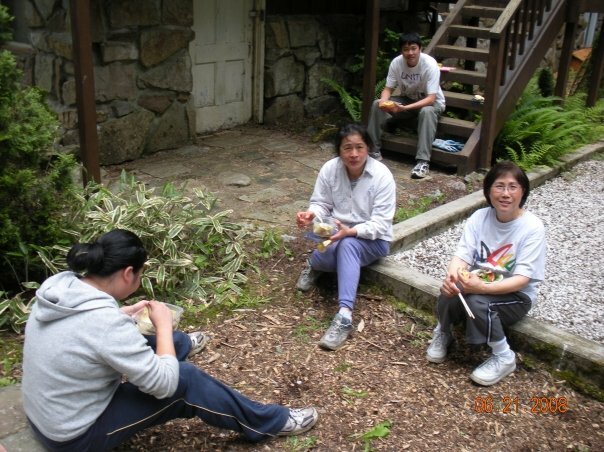 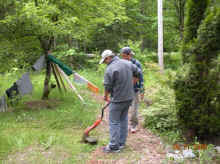 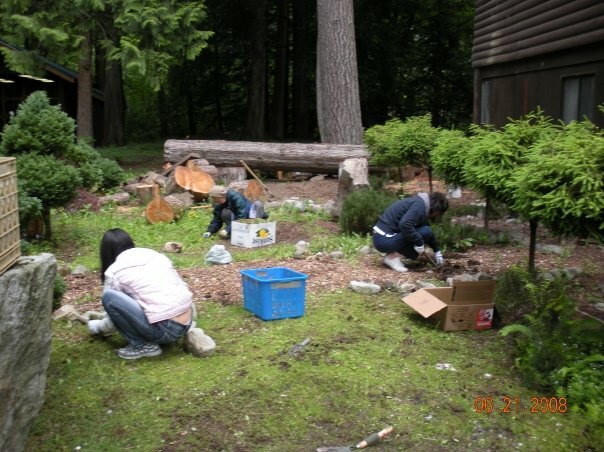 Nuns and a group of laymen and laywomen from Gold Summit Monastery and Co Lam Temple went to Snow Mountain Monastery to chop wood, cut grass, pull weeds, clean up buildings, and etc. We began the community work at 7:30AM to 10:20AM. Following it was the meal offering ceremony and lunch. 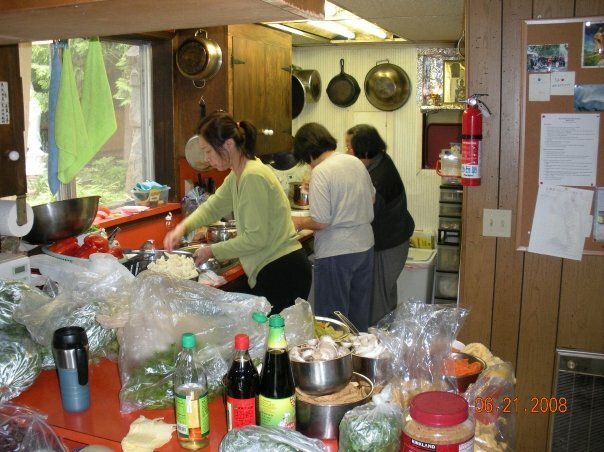 After we concluded the lunch, we were surprised to see a group of about fifteen laymen and laywomen driving 2 vans all the way from Portland, Oregon to Snow Mountain Monastery to help out the community. 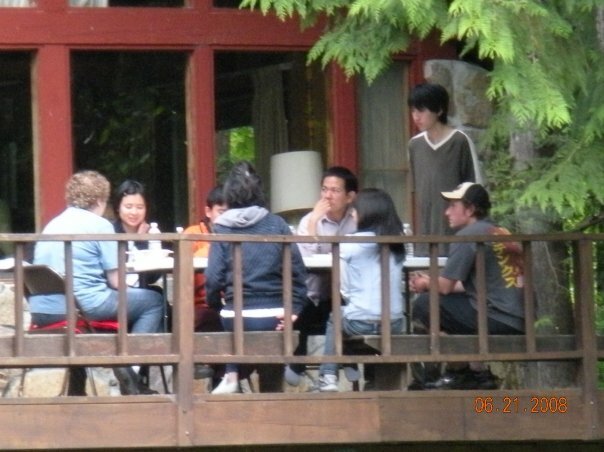 They were so happy and so sincere to be here with us. 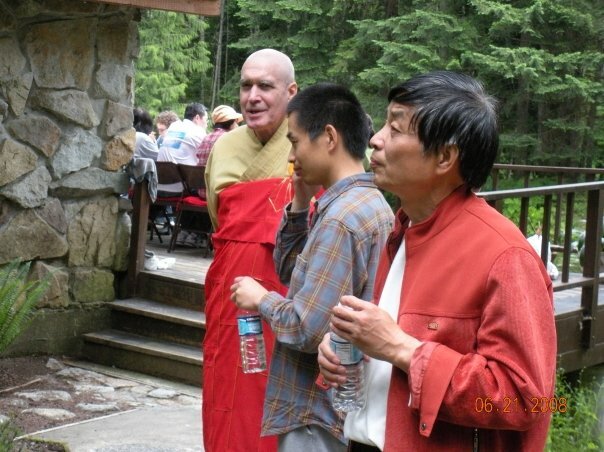 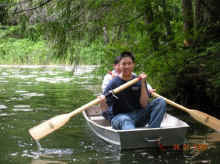 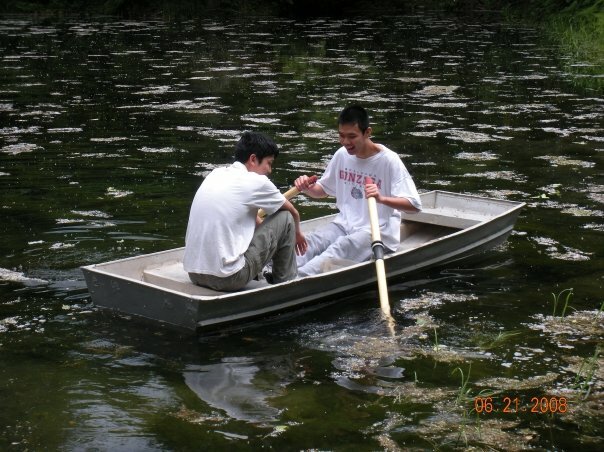 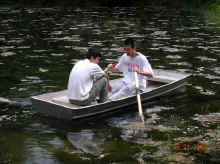 We asked them how they learned about this event at Snow Mountain Monastery. 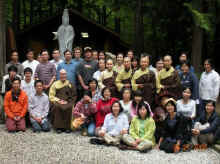 They said that their dharma friends who attended one of the Amitabha session at Gold Summit Monastery and had learned about this event. 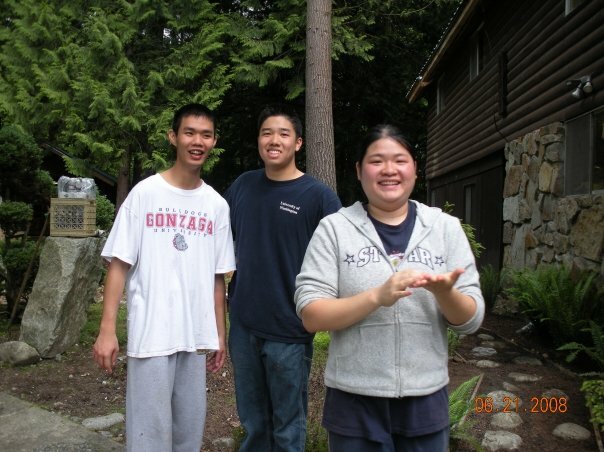 This group went back to Portland and told them. 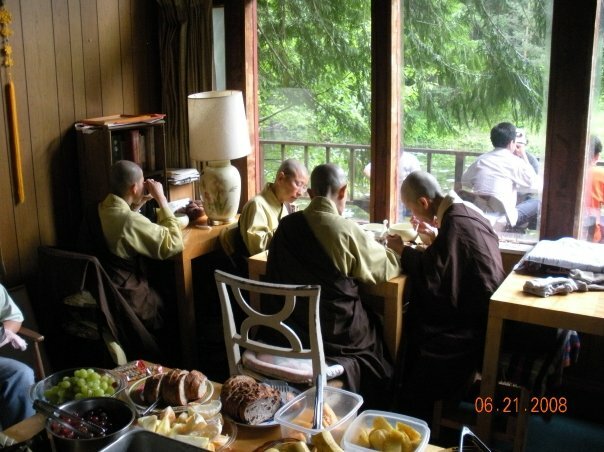 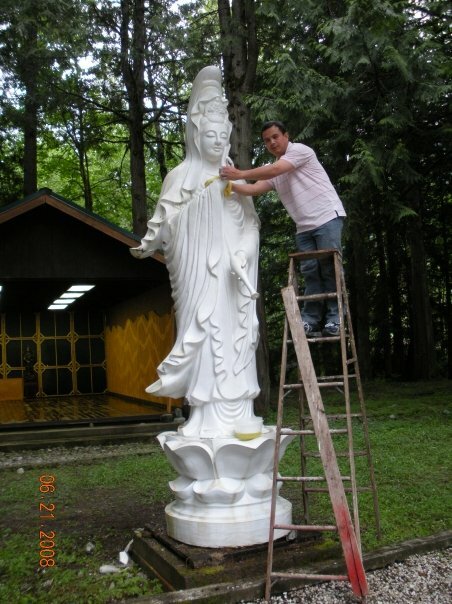 Since this was their first time at Snow Mountain Monastery, Dharma Master Heng Lai gave them a tour around the monastery. This monastery was founded by the Venerable Master Hsuan Hua. 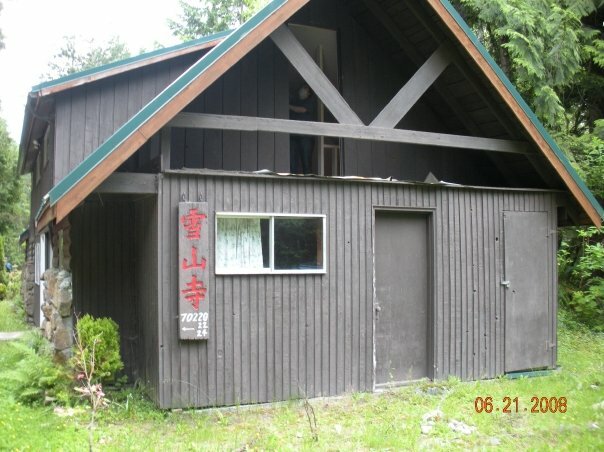 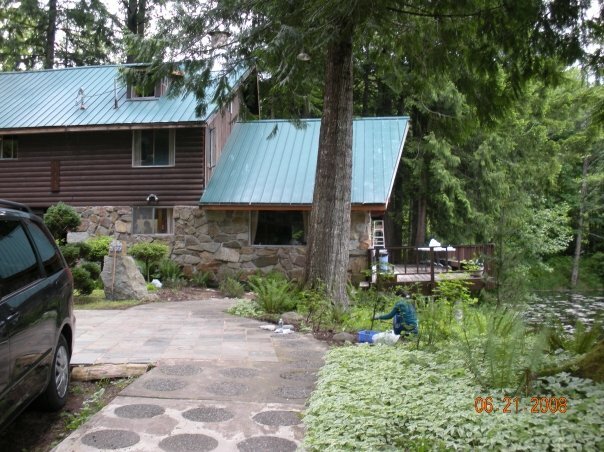 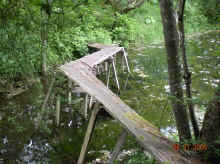 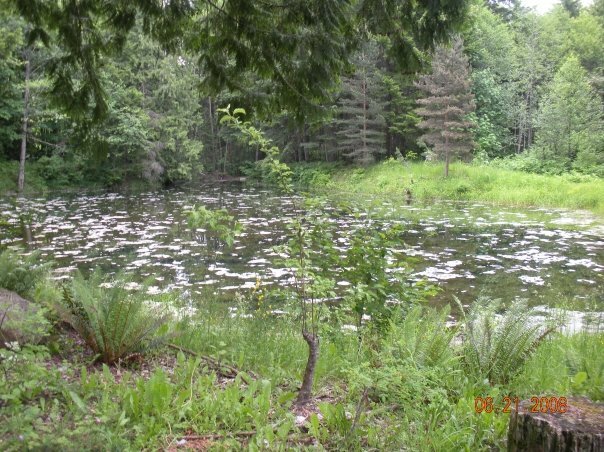 In 1983 his disciples drove the Venerable Master from Spoken, WA to Seattle, and when they reached the Skykomish valley, the Venerable Master felt that the energy in this area was good and so he looked for a property to buy around here. 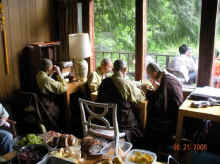 Then Snow Mountain Monastery was established. 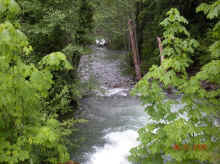 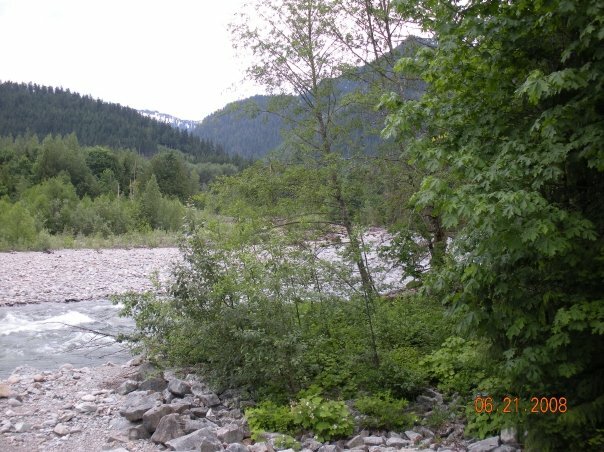 There are two rivers called Miller and Skykomish. These rivers join together near the monastery, and from the monastery, you can also hear the sound of the water and feel very peaceful and calm. 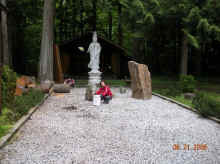 What a great day to be at the monastery and to be with the nature.